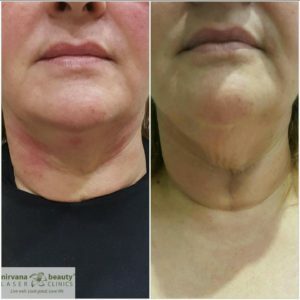 Tighten droopy turkey neck naturally to instantly look younger!!! 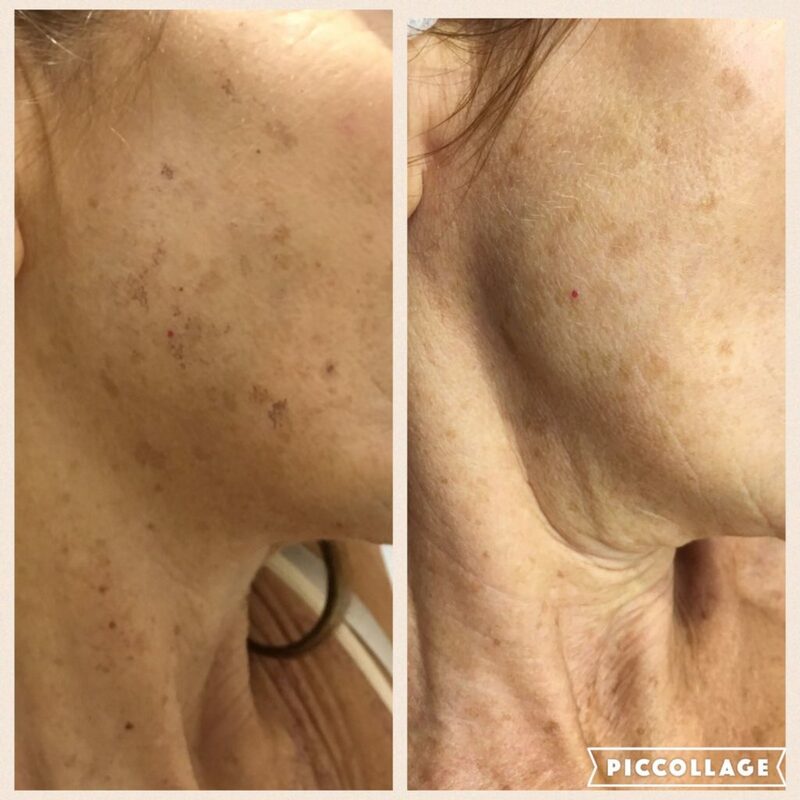 The HIFU (High Intensity Focused Ultrasound) beams through the surface of the skin to deliver precise and fractional ultrasound energy to the deeper dermis and facial muscle layers. 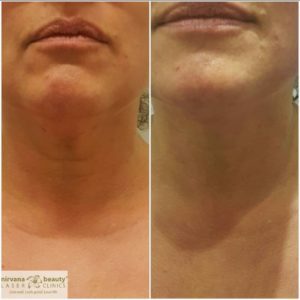 This energy stimulates both muscle firming and new collagen synthesis, with no disruption to the outer skin surface. 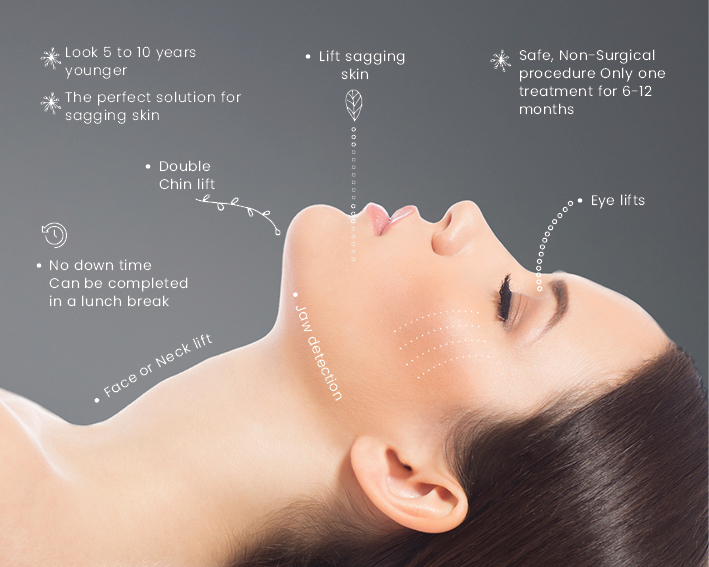 HIFU treatments are the perfect solution for sagging skin, particularlyin the face, jawline and neck areas. 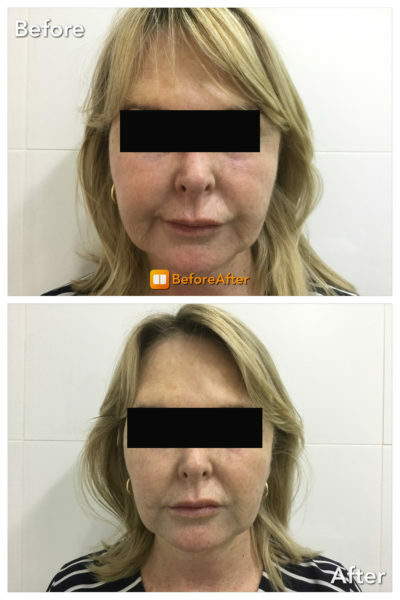 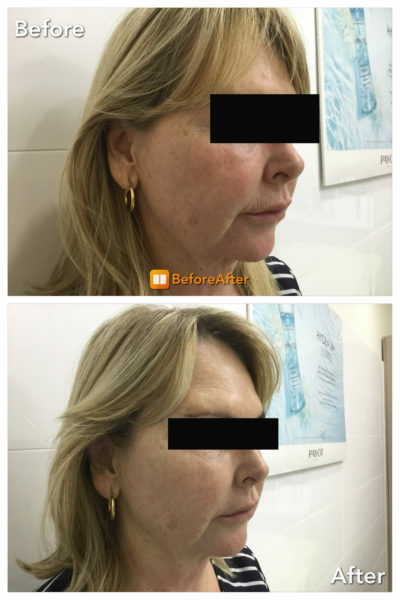 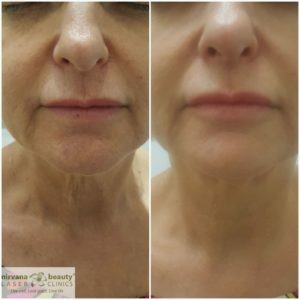 A natural face lift with no needles, no knife, and NO down time! 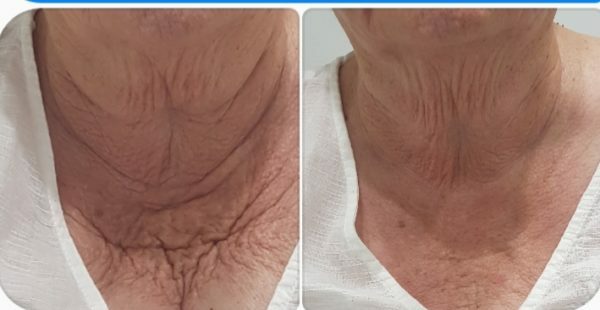 Best visible results are usually seen after 10 weeks, this effect will continue, and can be seen firming and lifting the skin for up to 6 months after the treatment. 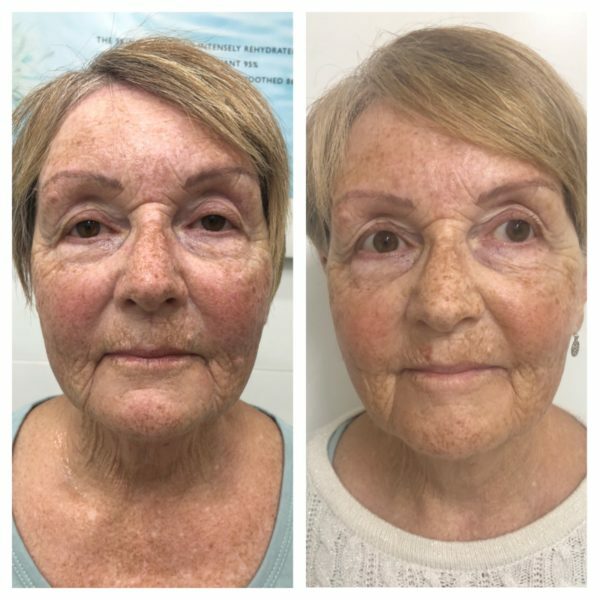 On this basis a repeat HIFU facial treatment is NOT recommended until at least 6 months after the original treatment; more mature clients may enjoy the benefits of a HIFU facial lift every 6 months, while younger clients may wait up to a year or more before repeating the process. 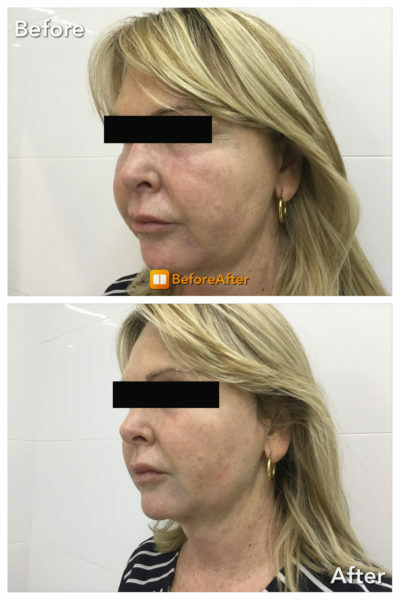 • Safe, Non-Surgical procedure, lifting and tightening the skin with noticeable results.